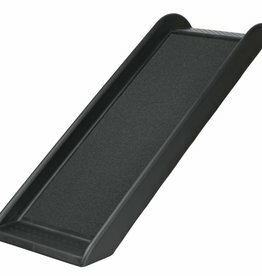 Glucosamine, salmon oil and other products to help maintain or increase flexibility. 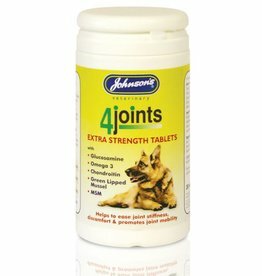 High strength tablets for the maintenance of supple joints in dogs. 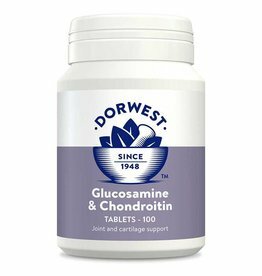 High-grade glucosamine hydrochloride, this supplement provides the building blocks to manufacture collagen and proteoglycans in the joint cartilage and the synovial membrane which produces the fluid lubricating the joints. 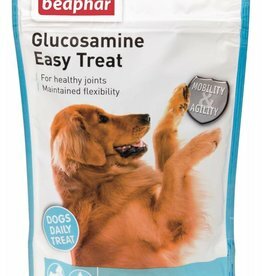 Glucosamine Easy Treats are delicious, meaty treats, which have been developed to administer valuable nutrients that your dog needs, in a fun and easy method. 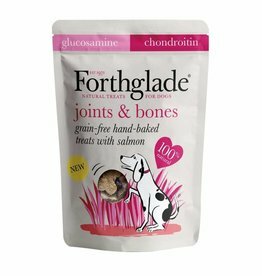 Hand baked heart-shaped treats contain glucosamine & chondroitin to support healthy joints & bones. For dogs and puppies rich in B-Complex Vitamins and Glucosamine with fish oils. 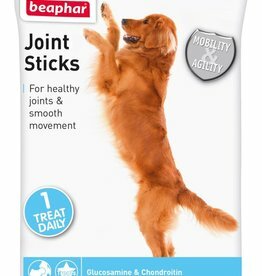 With Chondroitin and Glucosamine that help maintain supple joints. Made with 100% pure chicken breast fillet meat. 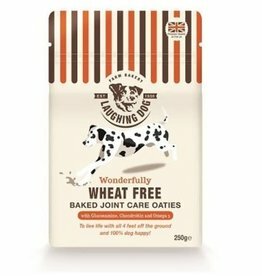 Laughing Dog Oven Baked Dog Treats, Joint Care Oaties 250g. 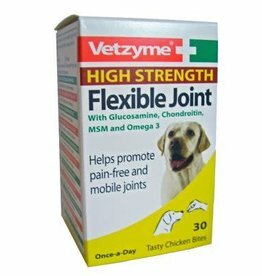 Joint Care - contains glucosamine and chondroitin to support joint health. 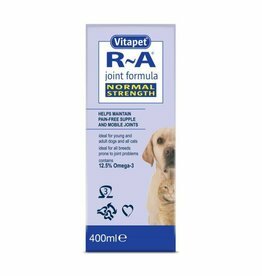 Vitapet Normal Strength R~A Formula contains a unique blend of selected fish and vegetable oils. 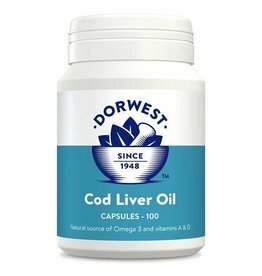 Super Solvitax Pure Cod Liver Oil is an excellent natural source of vitamins A and D, digestable energy and is rich in polyunsaturates. Billy + Margot Venison Joint Care Treats. 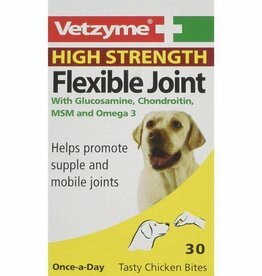 Ideal for older dogs and breeds prone to joint problems.